When I was asked to review Un-Ashamed Healing our Brokenness and Finding Freedom From Shame by Heather Davis Nelson, I was at first reluctant. Shame is an area I have studied, and I didn't think I would find much more on the topic than I already had encountered. I am happy to say, though, that I was mistaken. This book was a fast read for me. I wanted to devour the information. Usually when I read a book that quickly, I tend to then re-read it so I can absorb it completely. This book begins with an overview of shame, how it differs from guilt, and then talks about what it is like to live without shame clouding your world view. (Can I hear nearly everyone say, "Wow. Wouldn't that be great?") Then this book transitions into shame in more specific relationships. How many of us have felt shame brought upon us by a church? There's a chapter on this, and I feel certain after reading this that leaving my last church was the correct thing to do. With people not speaking to me and lecturing me to tears, I don't need people deciding they know what is best in my life. I am the one who has to give account to God, and I know my heart. How do you know what to look for in a church? What traits should a shame-free community have? These are answered in this book. Another chapter is how to parent without shaming your child. While I don't have children (yet -- my husband and I have been through foster parent training). This is a good chapter because I could see where shame was brought on me by parenting and even teaching methods used over the years. I can remember a teacher standing beside my lunch table and looking at me and saying, "Shameful girl." I wanted to crawl beneath my seat. This book provides basic guidelines to correcting your child without shaming them. It is all too common these days to make punishments public and post on Facebook, but how do you think your child would feel about that when s/he becomes an adult? Will what you are doing today help or hurt your future relationship? There are other topics discussed, too, such as body image and how we may feel shame from that. I was overweight even as a child, and didn't realize until I read this book why I felt shame so early for being overweight. I was in public with my family, and an overweight lady walked by. She was wearing comfortable shoes, but they were kind of squishy, and I had a family member comment when she was out of earshot, "What is she trying to prove with those shoes?" I couldn't help but wonder how much I was looked down on, even as a pre-schooler because I was overweight. This book helps bring understanding to memories like this. This is an excellent book on the strong feeling of shame. It's less than 200 pages long, but it truly gets to the meat of the subject without a lot of excess which is something I very much appreciated. If you feel shamed, or want to know how to help others who feel shamed, I highly recommend this book. 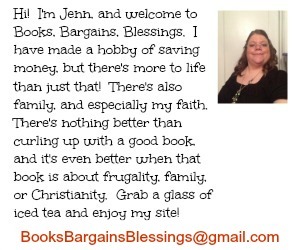 I even have a copy to give away to one reader of Books, Bargains Blessings. You must reside in the USA or Canada to enter, and be 18 or older. I too was overweight as a teen as was made to feel shame by especially my father. I would love to read this book. Shame is a terrible feeling, but God can heal this! The remedy to shame isn't to believe that "I" am enough, but to remember that Christ is enough! 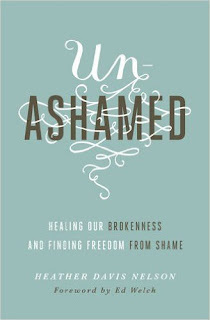 I so need to read this book, I need help to let shame go! This sounds like such an interesting read. I am intrigued to learn more about shame by reading this! I remember reading from a psychology textbook that girls from 6 to 9 years of age obsess over their weight and don't want to "get fat". Shame Is a powerful word. I feel shame a lot as I fill I can not change the course of my life to be a better person. I think social media used wrongly by mean people can try to shame people in a very public way. It's terrible. Shame is a terrible feeling. I've been shamed before. It is different than feeling guilty, but it's like the person doing the shaming is trying to make you feel guilty. I think shame is heartbreaking whenever I feel shame I remind myself that life is soooo short.